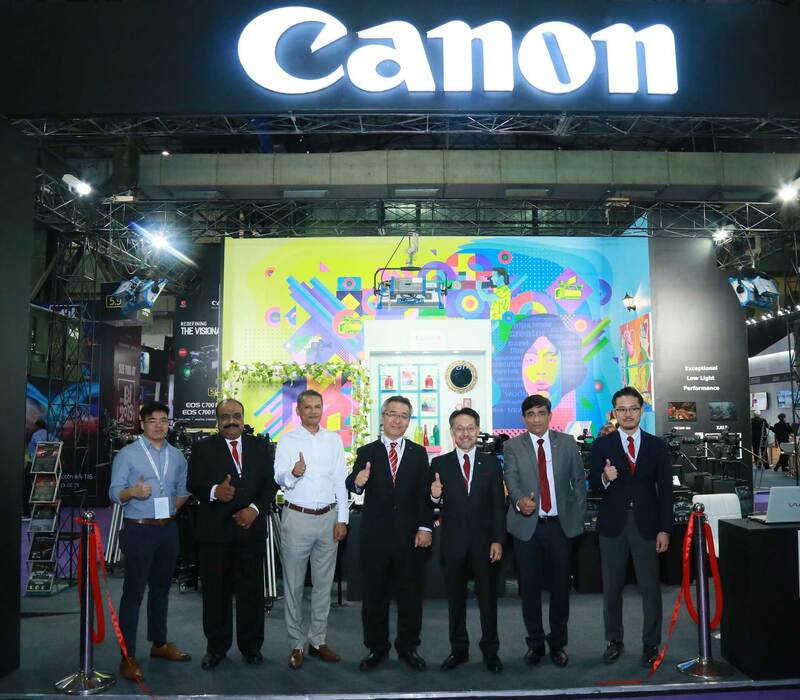 Mumbai, October 25th 2018: Canon India, one of the leaders in the digital imaging space, unveiled the Cinema EOS C700FF at a leading industry platform Broadcast India Show 2018. Organized at the Bombay Exhibition Centre, Goregaon, Mumbai from 25th -27th October 2018, Broadcast India Show is a must attend event for the Film and Infotainment industry in India. 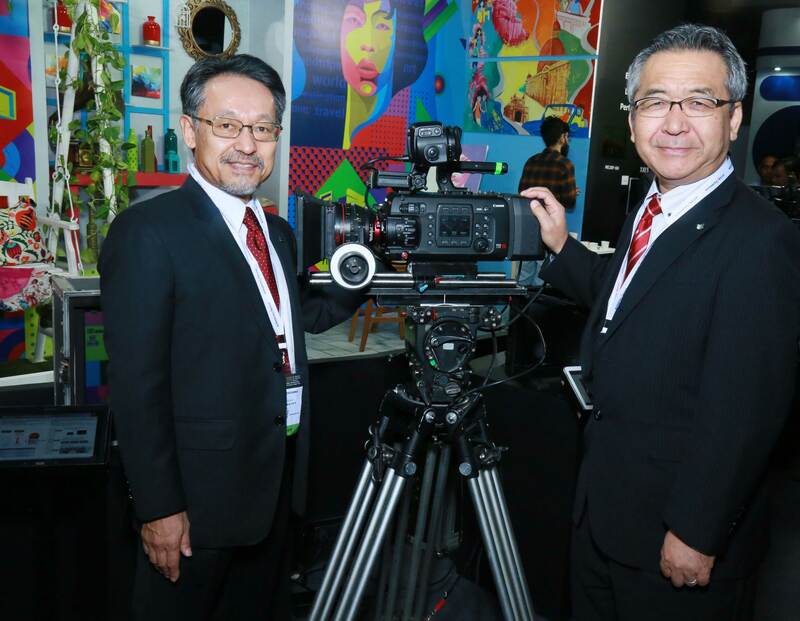 Inaugurated by Mr. Kazutada Kobayashi, President & CEO, Canon India and Mr. Eddie Udagawa - Vice President - Consumer Imaging & Information Centre, the stall exhibited a prolific range of Cinema EOS range, professional video cameras and Cine lenses. Canon’s new EOS C700FF top-end digital cinema camera features a full –frame CMOS sensor designed to meet extensive range of production needs. The camera’s full-frame sensor provides higher resolution and produces footage with shallower depth of field with 35mm sized sensors, giving filmmakers a variety of creative options. Capable of 5.9K RAW recording up to 50/60 frames per second with the optional Codex CDX-36150 recorder, the EOS C700FF can also record ProRes and XF-AVC up to 4K to internal CFast cards. When over sampling 5.9K in 4K/UHD recording moire is suppressed and noise graininess improved, resulting in higher quality video compared to native 4K image capture. Both EF and PL mount models are available, with the EF mount option including Canon’s Dual Pixel CMOS AF technology for precision focusing that can be crucial when recording in high resolution. Canon’s first professional video camera with the new XF-HEVC file format, enables the recording of internal 4:2:2 10-bit UHD (HLG/PQ) files to SD cards, plus output a 4K UHD signal over a single 12G-SDI interface or ethernet connection. A 1.0-Type CMOS sensor and DIGIC processor produce professional 4K UHD 50P images in 4:2:2 10-bit, utilising Canon’s new and efficient XF-HEVC file format for smaller files that can be recorded direct to SD cards. Multiple recording formats are also supported including XF-AVC and high frame rates up to 100P. XF 705 can record internally in two HDR formats, using HLG or PQ and features extensive HDR assist functions that aid the user to control the exposure for HDR shooting. Alternatively, for less time-critical productions, Canon Log3/BT.2020 support enables flexibility in a HDR Post-Production workflow. Image capture starts with outstanding optics and Canon’s L-Series lens delivers this in a compact, 3-ring, 15x wide angle zoom that incorporates a 5-axis IS, designed for exceptional 4K UHD capture.